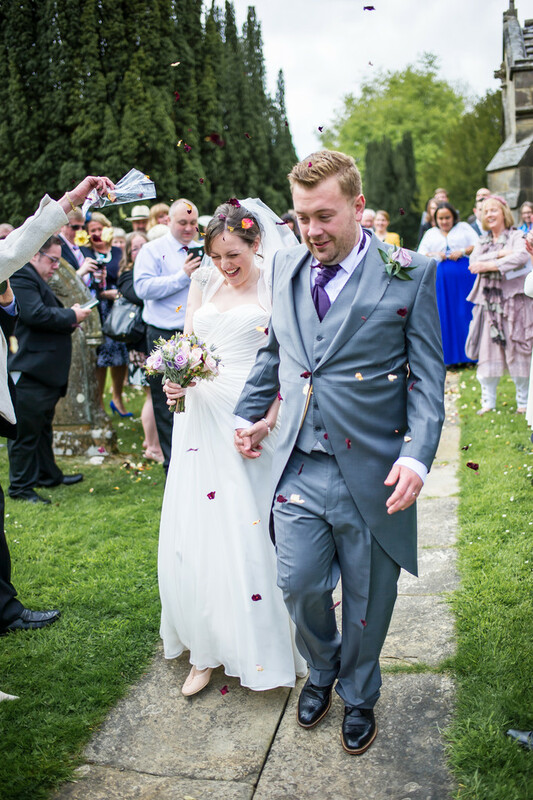 This wedding photograph shows the bride and groom walking down the path away from the church where they have just got married. The church is St. Mary's church in the village of Lastingham, North Yorkshire, a wonderful and very old church in this tiny, tucked away part of the county. 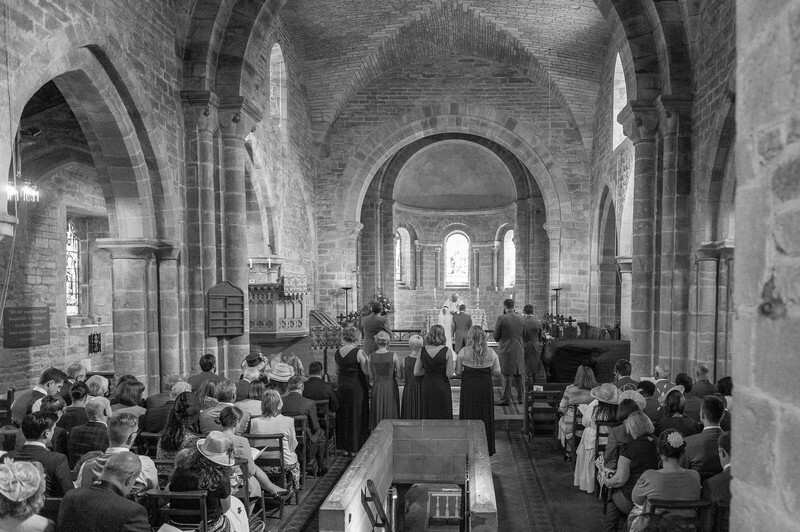 Lastingham church is one of the oldest churches we have photographed in so far. The church is stunning and comes complete with a very un-creepy crypt where all the wedding party assembled for the signing of the wedding register. This was a wonderful and happy wedding with a lot of love and laughter along the way and all the guests seemed to have a wonderful time. Following the wedding ceremony everyone made their way back to the Forest and Vale Hotel in the centre of the nearby town of Pickering for the wedding breakfast, evening reception and games including Jenga and limbo in the hotel grounds. The party went on late into the evening and a wonderful time was had by all. 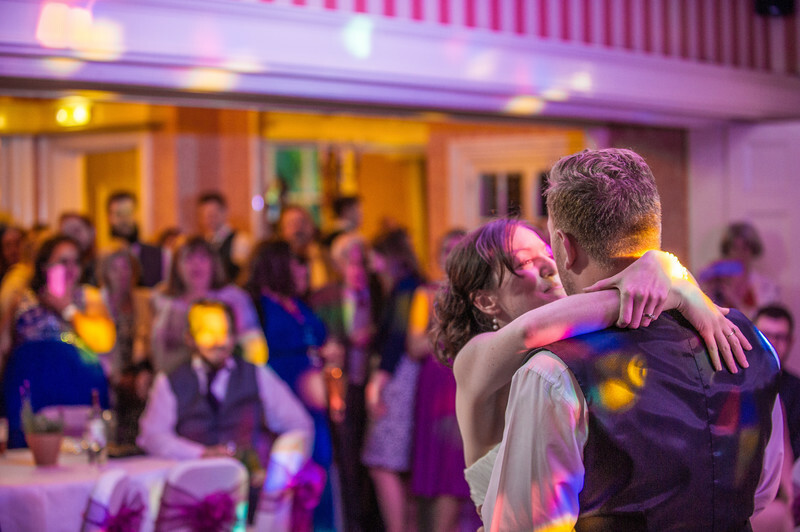 We have various images fro this wonderful wedding scattered around the website and each and everyone of them reminds us of a very happy day for the bride, groom and guests but also for us, we do enjoy a good wedding! 1/4000; f/1.8; ISO 200; 35.0 mm.